Are you familiar with gongs? Most of us have already heard this musical instrument but only a few knows the value and artistry that it can portray in the world of music and culture. 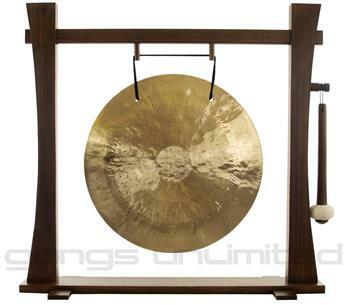 The gong was originally derived from China then thereafter disseminated in East Asia, and Southeast Asia. Its popularity in the ancient times becomes a significant role in religious activities, rituals, festivals, bountiful harvest, warding off bad spirits, marriage ceremonies, and played for other important gatherings. 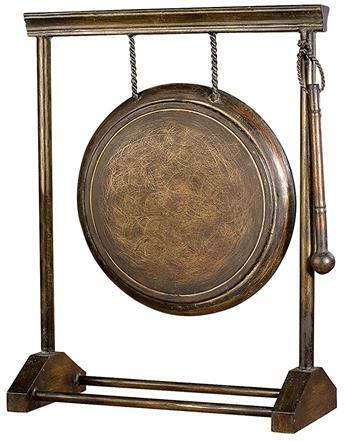 There are several gongs in every country that vary in shape, size, dimension, tone, and color. However, the instruments introduced in this article were characterized as circular, flat, and metal disc accompanied with a mallet or beater. Generally, these instruments have loud, deep, and slow to medium tempo when played. In this modern times, different learning institutions were teaching the importance of these musical instruments to students and preserve this work-of-art to enlighten the minds of this generation. For interested buyers, you may read the best seller gongs and choose the instrument that captured your attention. 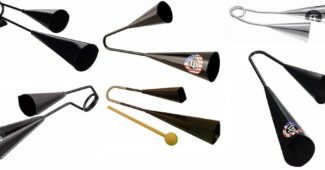 Get the outstanding sound quality and appearance among these trusted manufacturers namely Woodstock Chimes, Avedis Zildjian Company, Dream Cymbals and Gongs, Wuhan, Gongs Unlimited, and Design Toscano. Woodstock Desk Gong Check here! Avedis Zildjian 12″ Table-top Gong Check here! Dream 22″ Gong Check here! 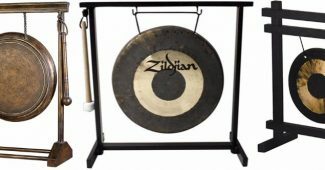 Gongs Unlimited 22″ Wind Gong Check here! Design Toscano Sheng Kwong Check here! Preserving the traditional music of our ancestors keeps the customs alive. 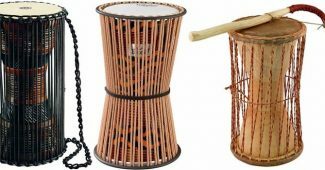 This percussion instrument can be used to practice classical music lessons to enrich the youth with knowledge related to the gongs. 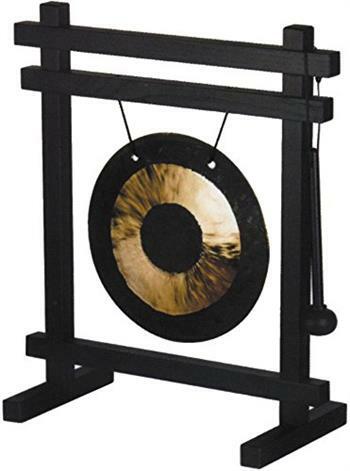 Woodstock Chimes created this product consisting of a black ash wood for the stand and brass finish for the gong. It looks elegant and classic as to its appearance. Ideally, it is a perfect fit for secular music and meditation practices in churches, festivals, and school. It contains loud, authentic, rich, and traditional sounds when hit using a mallet. Moreover, it is suitable for your budget especially if want to purchase this product. Choosing a standard gong for your ritual activities and festivals might be quite challenging because there are several instruments to take into considerations. 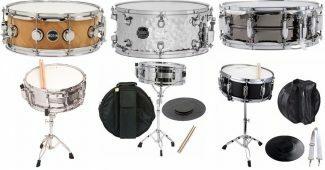 In this review, the Avedis Zildjian’s gongs are one of the recommended quality percussion instruments for you (as the buyer) to try. It already contains a frame table-top style black stand while the metal disc is hanging onto the frame. The metal disc was partially latched in its front and rear. 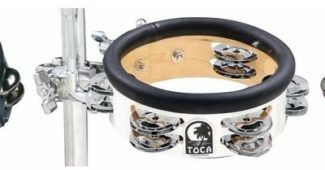 In addition, it can produce traditional, bass, and loud sounds to bring the positive aura as you perform the related activities. You can buy this at a reasonable price. 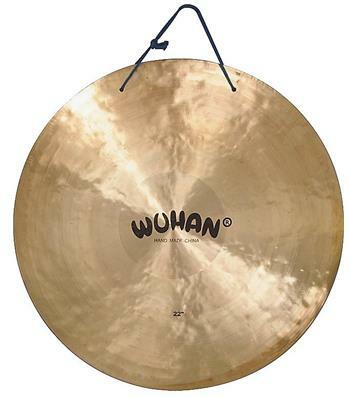 If you’re looking for a fully lathed gong, this product of Dream Cymbals and Gongs is one of the best percussion instrument to include on your list. This instrument is built with cast bronze construction. 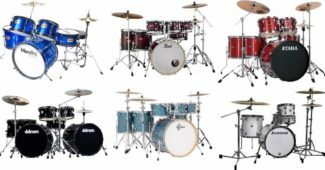 It has a modernized look as compared to the other instruments manufactured because of its distinctive color, texture, and sound. 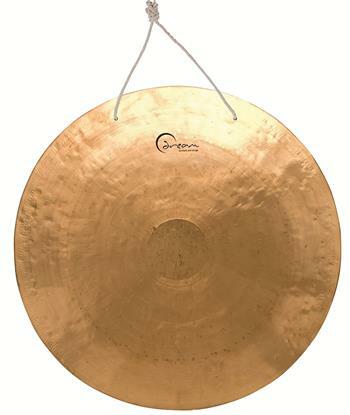 A quality gong that you can trust with a reasonable price to offer. A sense of elegance and classic style was adopted to create this product out of the inspirational, genuine, and traditional approach. This wind gong can protrude bass, loud, and resonating sounds relevant for spiritual gatherings and festival activities. The material used for the instrument itself was taken from high-quality bronze since it can produce awesome deep sounds. As the Gongs Unlimited says, it can resurrect your spirit as well as lighten your mood, hence it is a great instrument that can influence your soul and emotions. It entails the highest price among all of the products mentioned in this context due to its authentic built and outstanding sounds. Are you interested with wind gong but you have to check your budget? Well, this product is absolutely great for your preferences and purchasing capacity. The Wuhan-made gongs were artistically built using a hand hammered approach and exhibit a shiny golden look appearance. Typically, a surface and texture like this percussion instrument tend to be rust-free due to its characteristics and resistant properties. When playing this instrument, it emits a rich full sound which manifests an ideal tone for secular rituals, school activities, and festivals. It comes at an affordable price despite the quality of its built. A good product fit for your budget. The Design Toscano’s gong series are superb as to their antique appearances in which the Sheng Kwong gong version is one of the best sellers of their artistic and quality percussion instrument. It is built with full metal construction and polish with antique metal finishing. It protrudes sharp staccato sound accompanied by a long-lasting shimmer look. This product is great for antique collection displays, secular activities, rituals, and educational purpose musical instrument. It is affordable and an awesome instrument to enrich one’s knowledge when it comes to customs and culture. Always check the material used for this instrument since it depicts the durability, sound performance, and appearance of the instrument. As much as possible, it should be constructed using a metal since it affects the sound of the gong. When it comes to the appearance, it will be the buyer’s choice whether what color and finish that he or she prefer. Generally, the gongs produce loud, deep, and echoing sound that entails ritualistic effect when heard. The tones emitted by this percussion instrument were ideal for spiritual activities, marriage ceremonies, festivals, and more. Make sure to check the sound first before buying, you may visit a store and have a personal try of the instrument. You may also check any tutorial videos to find out its genuine sound if it perfectly fit with your activities and other musical instruments. 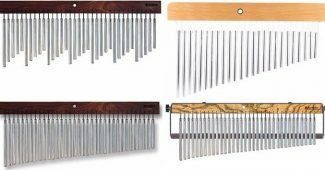 Some gongs have a mallet, mounting strings, and stand for a convenient percussion performance. 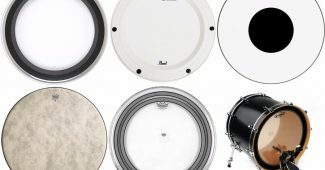 Be alert with the brands that only provide the metal disc without stand and make sure you won’t regret buying these instruments. 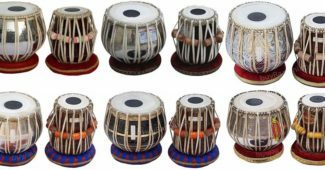 Typically, some manufacturers promote the quality of their gongs that’s why the extra accessories were not included in the price, however, most of the time, some sellers have already a complete set of this instrument being offered for the benefit of the buyer. 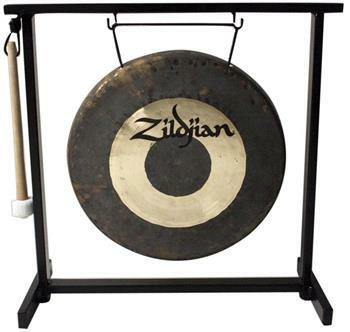 Well, it is better for the gong to have a frame stand but if it’s costly for you to buy a gong with a stand or buy the frame stand separately, you might just prefer to purchase only the gong itself. 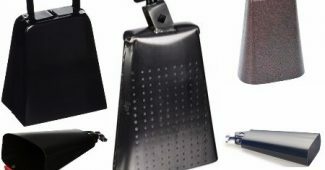 However, you may check the products reviewed above to look for an affordable instrument with a stand already so that you can save your money and promote wise spending.